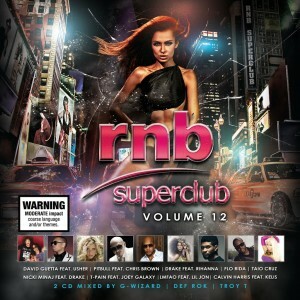 There’s certainly plenty to like about this latest compilation in the ‘RNB Superclub’ series… Two big discs bulging with top name global talent including J-Lo, Ke$ha, Keri Hilson, T-Pain, Wiz Khalifa, Nicki Minaj, Kelly Rowland, Lloyd, LMFAO, Usher, Taio Cruz, Flo Rida and Pitbull. But there’s also a tip of the hat to the locals, with tracks from Timomatic, Havana Brown, Jess Mauboy, 360, Israel Cruz, Stan Walker and Marvin Priest also featured amongst its tracklist. Effie from Dingley Village in Victoria, Scott from Moorabbin in Victoria, Caitlin from Glebe in Tasmania, Amber from Reedy Creek in Queensland and Jannette from Glebe in New South Wales. Congratulations ladies and gent! A copy of the compile is on its way to you as we speak. Thanks to all who entered – and don’t forget – more prizes are only a click away in the sidebar!